Introduction: In our day to day practice many patients comes with different type of complaints and during conversation they usually told us some very marked and useful symptoms indicating some kind of never since, e.g. ‘I suffered from Typhoid 3 years ago and never well since’. So, Never well since is a very important aspect in our case taking. This is a major causative factor that usually occurs in the patient’s life before the onset of presenting symptoms. Most of the times Patient is not aware about that. There are many rubrics for different causation in different repertory. Here are some rubrics which are found as it is for never well since from synthesis repertory. Keywords: Synthesis, Ailments, Never well since, Typhoid, Pyrogenium. GENERALS – CONVALESCENCE; ailments during – abortion; after -never well since sec. GENERALS – CONVALESCENCE; ailments during – abortion; after – never well since sec. GENERALS – CONVALESCENCE; ailments during – burns; after – never well since suprar. GENERALS – CONVALESCENCE; ailments during – chest complaints; after – never well since: sulph. GENERALS – CONVALESCENCE; ailments during – diphtheria; after – never well since: lac-c. GENERALS – CONVALESCENCE; ailments during – gonorrhea; after – never well since: med. GENERALS – CONVALESCENCE; ailments during – influenza; after – never well since: gels. GENERALS – CONVALESCENCE; ailments during – lungs; after inflammation of the – never well since: Kali-c. GENERALS – CONVALESCENCE; ailments during – malaria; after – never well since or recurrent malaria: malar. GENERALS – CONVALESCENCE; ailments during – oxygen in blood; after decreased – never well since:carb-v. GENERALS – CONVALESCENCE; ailments during – puerperal fever; after – never well since: pyrog. GENERALS – CONVALESCENCE; ailments during – septic fever; after – never well since:pyrog. GENERALS – CONVALESCENCE; ailments during – strain; after – never well since: carb-v. GENERALS – CONVALESCENCE; ailments during – sunstroke; after – never well since: verat. GENERALS – CONVALESCENCE; ailments during – typhoid fever; after – never well since: carb-v.Pyrog.tub. GENERALS – MEASLES – ailments after – never well since: carb-v.carc.Morb. GENERALS – VACCINATION; ailments after – never well since: carc.pyrog.sil.thuj. Conclusion: ‘Never well since’ is a part of past history and this symptom have a lasting negative influence on the patient’s overall state of health, has initiated the progression of disease. It is so significant that it can safely rule out many other symptoms if the ‘Never well since’ is clearly perceived and verified. It is one of the most decisive and fundamental aspect of the entire case and if found can help in solving the case speedily. Schroyens F. Synthesis (Repertorium Homoeopathicum Syntheticum) 9.1 ed. New Delhi: B.Jain Publishers(p) Ltd;2008. About the Author: Dr.Babita Rani Jamwal, M.D.(Hom.) Asst Prof. In Dept. 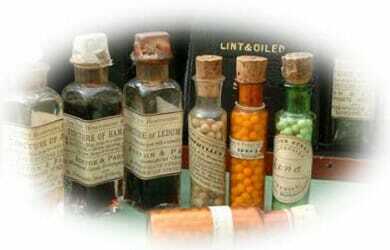 Of Repertory Solan Homeopathic Medical College & Hospital Kumarhatti, Solan Himachal Pradesh.